A key priority for QLF is fostering the development of youth leaders. As well as internships, research opportunities, and exchange programs for students, graduates, and fellows, QLF has robust and long-standing environmental education programs in the Atlantic Region that has supported the development of young adults in rural communities. Since its founding, the engagement of local youth has been a priority for QLF, and the organisation runs workshops for all ages and communities (pictured below). If you are a Skidmore College student interested in community service, conservation, and/or the environment, then the Summer Internship funding is an incredible opportunity that you should pursue. There are are many opportunities to get involved with QLF, as they engage people of many different interests and skill sets. From office work to field work, every person contributes to the overall mission of the organisation, and to ensuring that QLF initiatives are successful and efficient. My opportunity was as a Global Leadership Network Intern. During my experience, I have been involved in program planning, including outlining objectives and coordinating logistics. I have also been involved in grant writing, which is the process of submitting a proposal for funding opportunities. These tasks have given me a lot of responsibility, and requires acute organisation skills and attention to detail. It has sharpened my editing and writing abilities considerably. The Summer Internship Funding has made it possible for me to accept the opportunity to live in a dynamic city in a new country, for which I am very grateful. While QLF Headquarters are in Ipswich, Massachusetts, I have been working in QLF’s regional office in Montréal, Québec, Canada. Montréal is largely Francophone, and so the experience has also been conducive for my French language learning. Alongside my work this summer, I have been immersed in a foreign language, and a city quite different from elsewhere in North America, which has been incredibly interesting. The city is vibrant and full of lots of different cultures, and the summer is the best time to be here. Summer in Montreal is festival season, including an International Comedy Festival, an International Fireworks Display, lots of music festivals, such as folk music, Osheaga, jazz, African and African-influenced music, and electronic music, which means the city is abuzz with visitors, and there is lots to experience. If you are interested in working in biodiversity conservation, or for the protection of the environment in general, then I would strongly recommend researching the Quebec-Labrador Foundation (https://www.qlf.org). I found out about the opportunity through the Career Development Centre, and so I would reach out to them for notice of upcoming openings. If you are interested in the environment sector in general, then I would recommend keeping up-to-date on the field and upcoming work opportunities through LinkedIn by following relevant organisations. I would like to thank QLF, Skidmore College, the Career Development Center, and all the Summer Funded Opportunities team and donors for all their generous support and guidance in making this incredible experience a reality for me, and for helping so many other students maximize their summers too. 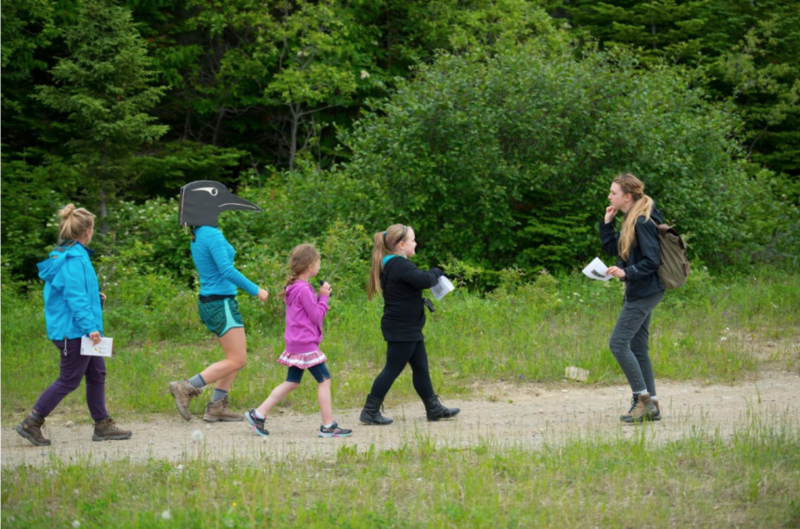 Image of a ornithological workshop conducted on a Newfoundland conservation and education program, courtesy of QLF. This entry was posted in North America, Summer Experience Fund and tagged Canada, Montreal, QLF. Bookmark the permalink.